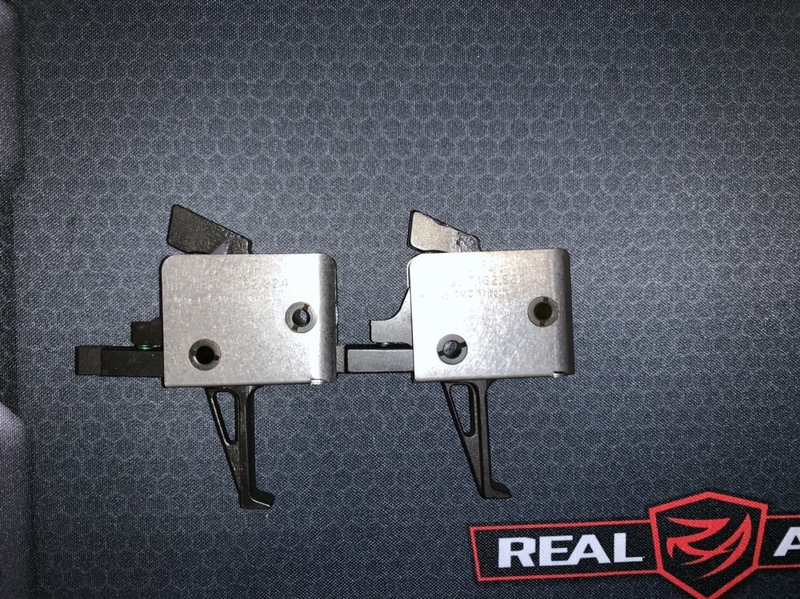 Recently, I was having an issue running the standard CMC AR15 trigger in my AR9 where the first shot would fire, but the second shot would not. After further research and testing, I found that the issue was that the BCG was not pushing the hammer back to reset the trigger. I thought this was interesting, but I digress. To test the theory, I ran a standard milspec trigger and I found that it worked well and the trigger reset. However, I was obviously not a fan of running a milspec when I was expecting the crispness of the CMC. As such, I thought I’d try out the CMC 9mm trigger to see if that would fix my problem and give me the smoothness I was hoping for. I was really skeptical that it would work because the triggers look exactly the same in pictures and I could not find a side by side comparison. However, it turns out that it helped a lot! 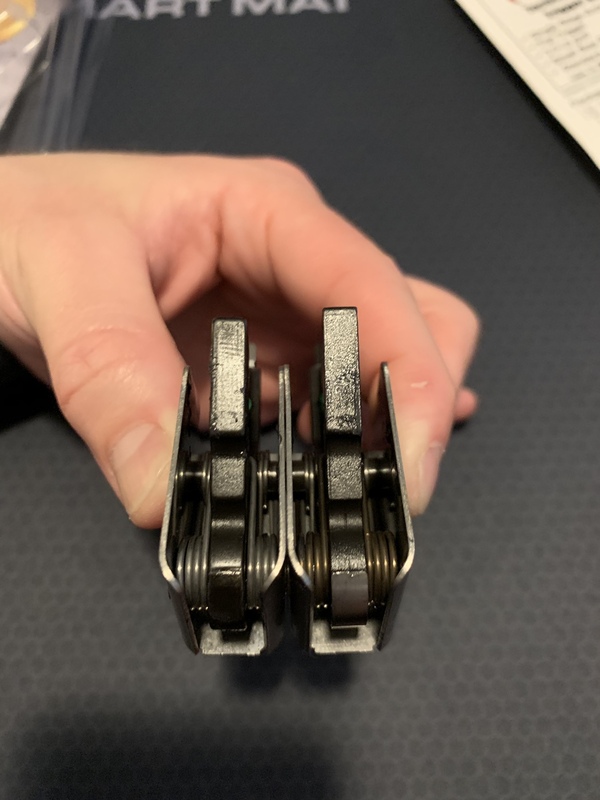 Anyhow, I thought I’d take some pictures of a side by side of the CMC AR15 vs CMC 9mm carbine triggers for your viewing pleasure. That's not what's happening. It's a common problem with 9mm AR's. The bolt flies so fast that it's whacking the hammer hard and it's bouncing off the disconnector without being caught by the disconnector. The hammer then follows the bolt carrier and ends up uncocked. There are various methods used to fix it. Could be recoil spring weight, could be you need a heavier buffer, could be the fire control group needs tuning with springs or disconnector geometry. I have an MPX (gas operated) with a high speed 3 pound Elftmann trigger that has this problem. Elftmann told me to ship the trigger back to them as it's a known problem and they can usually fix it with some tuning. I also have a traditional blowback 9mm AR that I shot today for the first time with no problems at all. I have a heavy and long 9mm buffer in it and an ALG trigger with a 4.5 pound pull. I might shoot it for awhile and try a lighter trigger later. Hmm that sounds logical but I have a heavy buffer from Kaw Valley designed for 9mm ARs and the only thing I changed out was the trigger and problem solved. I know Elfmann also makes a dedicated 9mm trigger too but didn’t feel like spending the extra money on that one. Hmm I wonder how I could test out your theory. I now use a stronger recoil spring to compensate for a standard weight carbine buffer in my AR-9 with Rise-140 trigger. No issues since changing the spring out. I had a post under Semiautomatic rifle thread called "AR9 double fire". I had used a CMMG trigger set and I was getting double fires. Long story short, I swapped out trigger parts from my AR 15s until I found the lower trigger piece was the root of the problem. That .02 cent swap fixed my trigger issues. Seems the AR 9s are a little finicky. Yeah, if you think about what's going on and the tiny fractions of a second involved and the tiny fractions of an inch involved where a disconnector could miss a hammer, it doesn't take much to not work. I bet in some circumstances you could try two triggers that look identical and one would work and another would not. It's kind of a black art with blowback AR's but the cheapest and quickest fix is to just try a few different things until it works. There's a 9mm AR mega-thread in the semi-auto forum where a bunch of people had trouble with their guns. If I were having trouble I would just invest half a day into reading that thread. All times are GMT -8. The time now is 2:29 PM.